When an employee is terminated without cause they are presumptively entitled to reasonable common law notice of the termination of their employment. In most cases, this means the employee is entitled to a package – which takes into account the employees age, years of service, character of employment and availability of similar employment – known as the “reasonable notice period”. From a theoretical standpoint, the courts say that employees should be put in the same place they would have been in had they actually worked through the reasonable notice period. In other words, the courts measure wrongful dismissal damages by asking “what would the employee have earned had they worked during the reasonable notice period?” Wrongful dismissal damages, however, are subject to the employee’s obligation to take reasonable steps to mitigate their losses by seeking re-employment. Generally, any replacement income earned during the notice period reduces the employer’s liability to the employee dollar for dollar. If an employer can establish that the employee failed to take reasonable steps to mitigate their losses – that is, if they can prove that the employee took little or no steps to find new work – courts may reduce an employee’s entitlements to wrongful dismissal damages. 2. Is the estate entitled to the compensation the employee would have earned had they continued working through to the end of their reasonable notice period? The weight of authority suggests that death does not alter an employee’s entitlements to wrongful dismissal damages and by extension that 2) above is the correct answer. In McMaster Estate v Imark Corp 2000 CanLII 22740, for example, the Court was faced with the question of a deceased employee’s estate’s entitlements to wrongful dismissal damages when the employee had died well before the end of his reasonable notice period. The court found that the employer’s liability was not altered by the death of the dismissed employee and awarded the estate 12 months’ notice finding 12 months to be the employee’s reasonable notice period. The fact that the employee could not have worked during the notice period is irrelevant to the assessment of these damages. They are based on the premise that the employee would have worked during the notice period…. As discussed above, the damages are assessed by calculating the salary the employee would have received had he or she worked during the notice period, notwithstanding that the employee may, in fact, have been prevented from doing so. The damages are based on the premise that the employee would have worked during the notice period. 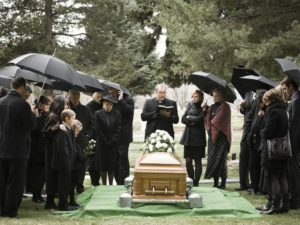 Accordingly, it appears clear that if a dismissed employee dies before their reasonable notice period has run, the fact of the employee’s death does not affect the employer’s liability to the employee and the estate. As the court held in Sylvester, “The damages are based on the premise that the employee would have worked during the notice period”. If you have a loved one or a friend who passed away soon after being terminated from their employment it is important to ensure the estate receives an appropriate severance package from the employer. Call Monkhouse Law today for a free 30 minute phone consultation!